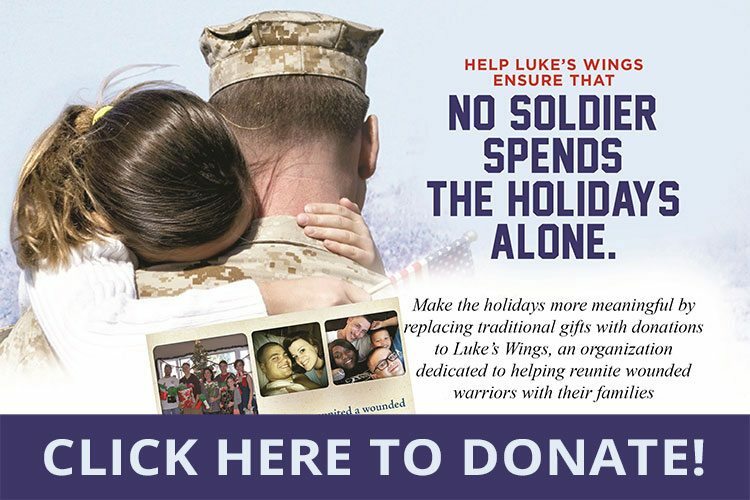 Luke’s Wings and Spirit Airlines Provide its 100th Flight to Wounded Warriors in Need! 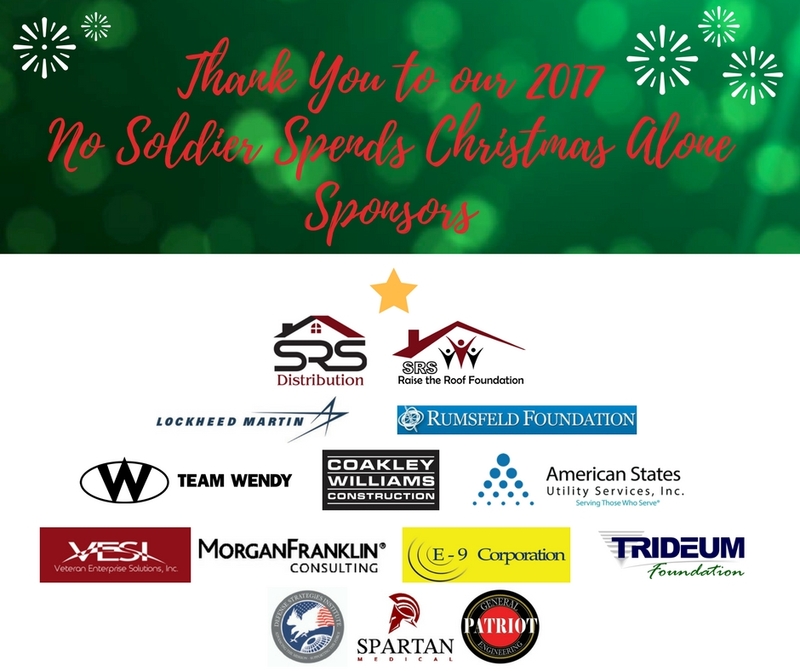 Luke’s Wings, Allstate Insurance and Caliber Collision team up to identify deserving veterans! Luke’s Wings kicked off our Veteran’s Day celebrations with our friends at Combined Insurance! 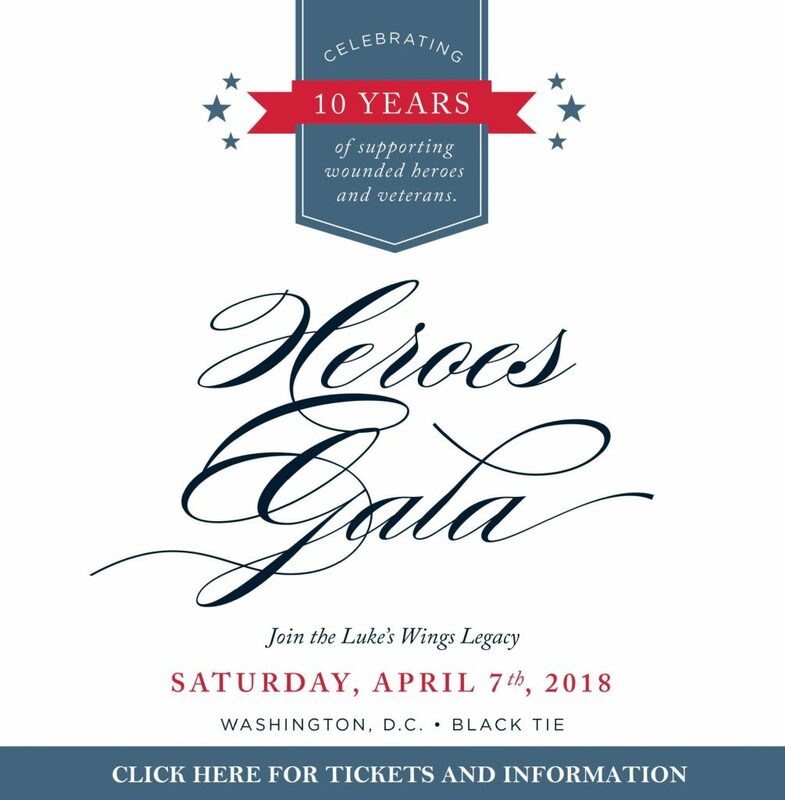 Luke’s Wings Heroes Walk to Fly Kick-Off Happy Hour! Luke’s Wings Attends Orioles Sunday Suite Program! City of Las Cruces Proclaims June 6th Luke’s Wings Day!